Is an annuity a good investment? This is a surprisingly hard question to answer. If you have ever met with a financial advisor about investments, chances are he or she may have proposed annuities as a good way for you to go. 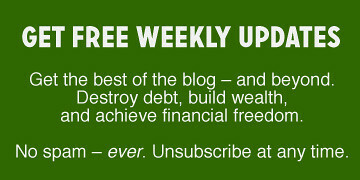 However, when you scan the blogosphere for posts about investing, you hardly ever read about annuities. You read about index funds, mutual funds, stocks and real estate and now and then about bonds … but hardly ever anything about annuities. With an annuity you turn a lump sum investment (usually $5,000 or more) into a steady stream of cash flow back to you. What sets most annuities apart from the more traditional investments is most of them will pay you that cash as long as you live. Related >> When Will You Be Able to Retire? That is an important distinction. When you invest in an index fund and you retire, you have a finite amount of money to draw from. You have to decide how much to draw every month or quarter to live from. If you draw too fast, you will run out of money; if you draw too little, you will have money left over at the end. None of us know how long we will live and, therefore, we can never know exactly how much to draw. An annuity typically solves that problem — the annuity provider assumes the risk. If you live long, they will lose money on your transaction and, if you pass away early, they will gain. They use actuarial tables to guide them in that risk. It should come as no surprise, then, that most annuity issuers are life insurance companies. Deferred annuities begin paying you after some period to which you and the provider both agree. For instance, if you receive a $20,000 inheritance when you are 25, you can specify that the annuity be deferred for 30 years. You agree to begin receiving payments when you are 55 years old. Fixed annuities will pay you a fixed amount every month, quarter or year (depending on which period you select). The amount will never go up or down, even if the economy, stock market, real estate market or interest rates go to that hot place in a hand basket. Variable annuities will pay you an amount which will depend on the economy, the stock market, the bond market and the real estate market. If those variables do well, a variable annuity will pay you more than the fixed annuity of same initial value and term would pay. However, if those things do take the trip to the hot place, your cash flow will suffer. 1. Risk transfer. Probably the biggest benefit from annuities is that the risk of running out of money is transferred from yourself to the insurer. You may get less of a return than when you invest for yourself, but at least you know you will get it until you die. 2. Risk reduction. Some annuities offer you a guaranteed minimum return. If the markets tank, you are protected. The flip side of that equation, of course, is that your upside is limited. People who are extremely risk-averse usually are prepared to take lower yields in return for the peace of mind when headlines are screaming about the next financial collapse. 3. Taxation. Most annuities accrue their earnings or interest “behind the tax curtain,” i.e., without incurring any income taxes. When you withdraw such annuities, however, you will pay ordinary income taxes on the increase, and you forfeit any capital gains taxation from which you may have benefited. 4. No limits. Unlike retirement funds — like a Roth IRA or 401(k) fund — there is no limit to how much you can invest in annuities. This benefits people who either make lots of money or who want to catch up on their retirement investing. If you make good money and you hit your contribution limits for your 401(k) and IRA funds, an annuity allows you to keep investing for the future while locking in the benefit on the gains on those investments. 5. Protection from creditors. If you have a reasonable net worth and make your living in a profession with a high risk of lawsuits, such as a medical doctor, it is nice to know that your annuities are protected in several states from any claims. Therefore, buying annuities can be a good strategy to protect your assets to ensure that your retirement funds remain safe for your old age. 1. Low yield. Because most annuities include an insurance risk, the actual returns earned on such an investment will be smaller than you can earn if you invested for yourself in things like index funds, property, etc. 2. Illiquidity. Deposits into annuity contracts are typically locked up for a period of time, known as the surrender period. These surrender periods can last anywhere from two to more than 10 years, depending on the particular product. Surrender fees are typically steep, starting out at 10 percent or more, although the penalty typically declines annually over the surrender period. 3. Fees. The high fees of managed mutual funds has driven the growth of index funds; but fees for annuities are even higher, making it one of the most criticized aspects of annuities. The annuities typically pushed by brokers and investment advisors carry commissions around 10 percent. If you invest, say $50,000, $5,000 will be taken right off the top and given to the person who sold the contract. That leaves only $45,000 of your money to earn a return. In addition, many states have what is known as a state premium tax, which is also taken right off your initial investment. 4. Redundancy. Investing IRA money into an annuity to get the tax benefit (as some are advised to do) is a waste, because everything accruing in an IRA is already sheltered from income taxes. 5. Shady tactics. In a way not unlike the timeshare industry, annuity sales practices have attracted a lot of criticism. Most people buying annuities don't fully understand their options. Many are afraid of investing in general and are drawn to the promise of someone else handling their investing for them. The result is that many contracts are written to benefit the seller, while leaving the buyer with much less than they could have gotten from other, simpler, investments like normal index funds. After all, the only things insurance companies can invest in are the very same things individuals can: stocks, bonds and real estate. Not all annuity sellers are shysters and not all contracts are detrimental to their buyers. Unfortunately, though, there are enough such cases to cause buyers to do their homework … the very thing they wanted to avoid having to do in the first place. 6. Inheritance taxes. For example, let us say you have invested, say, $50,000 in index funds through your IRA (Roth or traditional). When you die, that investment is worth, say $150,000. Your heirs will receive an inheritance valued at $150,000 (called the basis). If they turn around and sell it right away for $150,000, they will owe no income taxes, because that investment cost them $150,000 (the basis). However, if you invested the same $50,000 in an annuity, which is also worth $150,000 at the time of your death, your heirs are deemed to have received something worth $50,000. If they sell it the same way as the index fund, the $100,000 gain will be taxed as ordinary income. There is, as they say, no step up in basis, as with normal investments. The details may vary depending on your situation, but the principle of no step-up in basis remains pretty consistent in annuities. Say you have $50,000 to invest and you want to wait 20 years before you begin to draw against it. It's simple math to figure our more or less what that will be worth if you invest your funds in a simple, low-cost index fund. The insurance company will effectively do the same. (Index funds generally are the best-earning stock investments out there, so they will earn that or less.) Let's be conservative and assume a 7 percent average return on that investment. The insurance company will take about 1.5 percent annually in fees, and that will leave you with 5.5 percent. Why do it their way? As a straight-up investment, annuities rarely make sense. It is only when you add in the insurance protection (which isn't free) that it makes sense. It comes down to the value you place on that insurance. As noted above, annuities generally earn less than simple investing but can be effective to reduce risk. As a general rule, annuities make sense for people with high incomes and high exposure to capital loss, as well as to people who are sufficiently risk-averse to accept returns below what is achievable through a normal, diversified investing portfolio. They also rarely make sense for seniors over 60, because other investment options with higher payouts are available to them. For example, municipal bonds yield more attractive payouts with no reduction in principal. Everyone's situation is unique and, therefore, all of what I've mentioned above is given only as a general guideline. If you have a lump sum to invest, pay the money to consult an advisor who does not sell annuities. What are your thoughts about the risks and benefits of annuities? Is an annuity a good investment from your perspective? There are 17 reader responses to "Is an Annuity a Good Investment?". To me annuities fall into the same category as whole life insurance policies. Namely, not that great a deal for the vast majority of people but useful in specific financial situations for specific purposes. The problem IMHO is that the commission to the sales person is so great, they often are brought out first rather than last in a variety of forms with a lot of pressure on people to “guarantee” that cash flow and a lot of optimistic charts about their planned performance. Also not mentioned in the article is that the ability of the annuity to continue to pay is dependent on the quality of the life insurance company providing the annuity. Not all are created equal. totally agree. The outrageous commission fees stopped me. Nice summary on annuities. For most young adults, investing in annuities does not make sense. If you have maxed out on your 401k contributions, maxed out on IRA contributions, contributing enough to cover kid’s college education in a 529, and still have money left over and don’t know what to do with it, then consider investing in an annuity. Otherwise, I don’t see any value in it for a young adult who is at least 20+ years away from retirement. If you are close to retirement and you have not saved up a big enough nest egg, then investing a portion of your nest egg in an annuity would make sense. This way you are ensuring that you don’t run out of money and would be receiving monthly payments during your retirement until death. What should you look for when purchasing an annuity? There are three things you should look at when purchasing an annuity – expense ratio, surrender charges, and exclusion ratio. To learn more, please read my post on understanding annuities – http://stretchadime.com/understanding-annuities/. I explain annuities with a real life example and the simple math behind it. From what I have know about Annuity , during retirement, a portion of retirement money ( no more than 20 – 25 %) should be in annuity. This way you will have some guaranteed income, and the rest money, you can leave for growth. Some people feel secure that there is guaranteed money coming in every month and also you have some money for growth. To me, annuities are rarely a good idea. However, in the few cases they are, a good financial advisor can let you know. I think it’s too much of a case-by-case thing to make blanket statements. 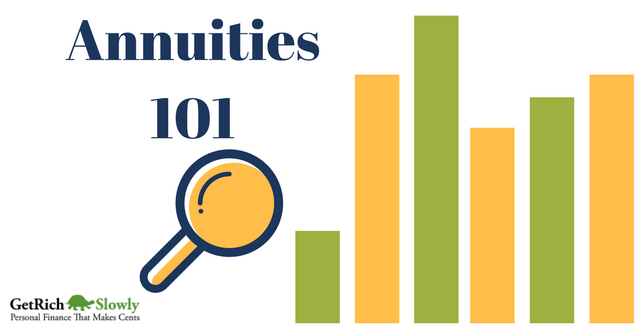 I think annuities are valuable for the diversification and insurance aspects they provide. Though based on historical returns they would under perform an index fund, there is no guarantee these will continue. If you have already maxed out your IRA and 401k you don’t have many other good options to grow money tax deferred (real estate 1031 exchanges could be one option). The other advantage some provide is the ability to borrow money from the annuity while the full value continues to accrue compound growth. Would I put all my money into an annuity? No. Can it add safety, diversification and tax benefits? Absolutely once your income rises above a certain level. On the whole, I thought this was a nicely balanced article. It should be noted that an annuity is not strictly an “investment” and shouldn’t really be compared to index funds and bonds. That said, they are often compared to such things in their own literature, but it’s definitely more of an apples to oranges comparison. The “Fees” discussion could in itself cover many lengthy articles or a book, so it’s a difficult task to address in a basic overview. Some annuities have very high fees, and some have zero fees. You definitely won’t learn anything about annuities in this case. Meet with someone who does annuities, sure. Then meet with someone else who offers investments. Then compare. Best yet, meet with someone who can offer either/or or both/and when appropriate and in your best interest. Advisors who are ALWAYS against one thing or another don’t have the range of strategies available to offer the best possible service to their clients. Could you tell us more about zero fee annuities? Or directed to a place to read more. Thanks for your comment. The first thing to address – at the risk of sounding like Bill Clinton (“what the definition of “is” is…”) – is what is a fee? For instance, the best Multi-Year Guaranteed Annuity (MYGA) right now will pay 3.3% interest annually, which is GUARANTEED for 10 years. There are no “fees” with this product. You can take out up to 10% per year annually from the total value of the annuity, and you can take out all interest earned at any point. You know the surrender charge schedule when you purchase the annuity. Is it a “fee”? I would say no, because you only pay the charge if you take out more than the allowable limit. If everyone could take out all their money at any point without deterrent, it wouldn’t be possible to have a guaranteed 3.3% interest rate for 10 years. Critics like to focus on surrender charges. In reality, they don’t affect a huge number of people, and when they do the charges are relatively small. When’s the last time you took all of your money out of one bank account and moved it to another? How often is this really done? I don’t deal with variable annuities… these are the ones that traditionally have the most fees and subject your money to market loss. Note that there are two distribution channels for annuities. Variable annuities are sold through stock brokers. Some broker dealers have “no-load” annuities, but they usually aren’t very appealing because there is little innovation or competition in the marketplace. Insurance brokers or agents deal with fixed, guaranteed income, and fixed index annuities. Naturally, surrender charges are part of ensuring the insurance company doesn’t go broke paying commissions and having people constantly pulling out their money prematurely. As I mentioned before, the key is to have a conversation with someone who will be honest with you, act always in your best interest, and offer complete and full disclosure. As consumers, we’re naturally guarded with divulging details and gathering information for fear of “being sold” or having to deal with follow ups or pressure. Take a small step and have a 10-minute conversation with an advisor that has the range of tools available to help you with whatever may be best for you. Good One, Annuity is a very good investment for persons getting a limited salary. I also have a annual investment from last 7 years and the full time period is of 20 years. It is good and I’ll have it again started after it ends. You can check which of the either is giving more interest rate of the money deposited in the fixed term. At a certain age if we get some of money it would be wonderful to invest on our business resolutions or might plan for our’s retirement. If a low salaried guy takes a good annuity plan for his retirement at a young age, he would get as much of amount which will surely help through rest of his life with a good ease. Though thanks for giving the brief and detailed information on it. A good annuity primer. A couple of things that could have been mentioned. Annuity products are usually what is being sold at the “free” dinner offers seniors receive in the mail. There is a saying that annuities are sold not bought. Most people cannot explain how a variable/indexed annuity works. The ‘guarantee’ that is thrown around is only as good as the financial strength of the company behind the product. Most older people already have an annuity, Social Security. Annuities also make sense when someone has a limited amount of cash to invest in the market, and can’t afford the inherent risk associated with equities. Thank you for a good post. This site has slowed down a lot lately, but if GRS is shifting toward fewer, content-dense posts in place of fluff, I’m all for it. What about charitable trust annuities? Apart from the value one may place on charity, how do the tax benefits change the calculation, if at all? Charitable annuity trusts are a different animal entirely. The annuities Mr. Cowie discusses are insurance products. Charitable annuity trusts are legal structures that allow the donor to make a gift to charity while retaining the right to either annual income from the trust, or to the principal when the term expires. The term “annuity” in charitable trusts simply refers to the fact that there is an annual payout from the trust assets. Charitable remainder trusts are the most common I’ve seen, because they give you a big income tax deduction when you contribute to them, provide you with a stream of income (the “annuity”) during your lifetime, and whatever is left goes to your chosen charities when you die. They can be a great tax- and estate planning tool for people who are charitably inclined, but they shouldn’t be confused with insurance annuities. And, there’s no reason to consider charitable trusts if you don’t want to give to charity, because you’re sacrificing the ability to do anything else with the money. Other than, perhaps, a single premium immediate annuity at retirement, I can’t think of many (any??) situations where annuities make a lot of sense. High fees, limited (and expensive) investments, surrender charges (usually), etc. A well balanced, low-cost index fund portfolio, with strategic and tax efficient asset location, offers the best cost containment, diversification and flexibility (in my opinion). Informative post, just make sure you really do your homework before investing in an annuity product! Good overview but there is an error in one of your statements, #6 under drawbacks. When you contribute to a traditional IRA you are contributing before tax dollars in most cases. You could have a non-deductible traditional IRA but that is not the case for most people. So when you pass away and your beneficiary inherits the distribution is subject to tax. When you contribute to a ROTH IRA you are contributing after tax dollars. The distributions from an inherited ROTH are free from tax. Your statement that you contributed 50K to tradition or ROTH and it grows to 150K the distributions would not taxed is incorrect. In the case of ROTH the 150K would be tax free but for a traditional IRA the entire 150K is taxed as ordinary income. The reason they call them annuities, is because they used to be called life insurance policies and we all know what rip offs those were. So they changed the name to try to cover what HORRIBLE investments, rofl, they are. Nobody with an iq over 50 would ever buy one of these. Whoever posted this article should be fired for giving bad advice. I had no idea that annuities don’t incur any income taxes. That is really nice, especially if you have a high paying job right now. In fact, I imagine that the lack of taxes more than make up for the lower interest rate that they offer. However, it all depends on the job you have, I think.